enjoy taking flight photos of them. Dan, Click on image to see extraordinary detail. Well Done. Stunning detail on this lovely lady, Dan. I love the topside view and the hint of habitat in the background. Superb. I think the female mallard has a beauty all her own, even if they are the most common duck around - it still doesn't make it easy to get such a superb shot as this one, Dan! you nailed the shot and the details are, awesome, a beauty. Checks all the boxes, Dan. Nice one. Superb top side view with great detail. Nice one Dan. Excellent wing position and composition. Nice pose showing the back pattern, Dan. Superb shot Dan! 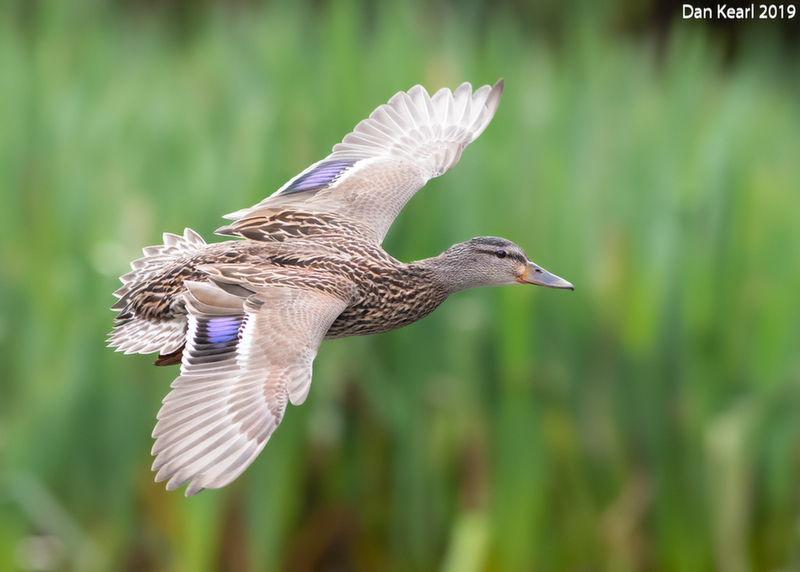 Nothing wrong with Mallards, really nice female in flight.